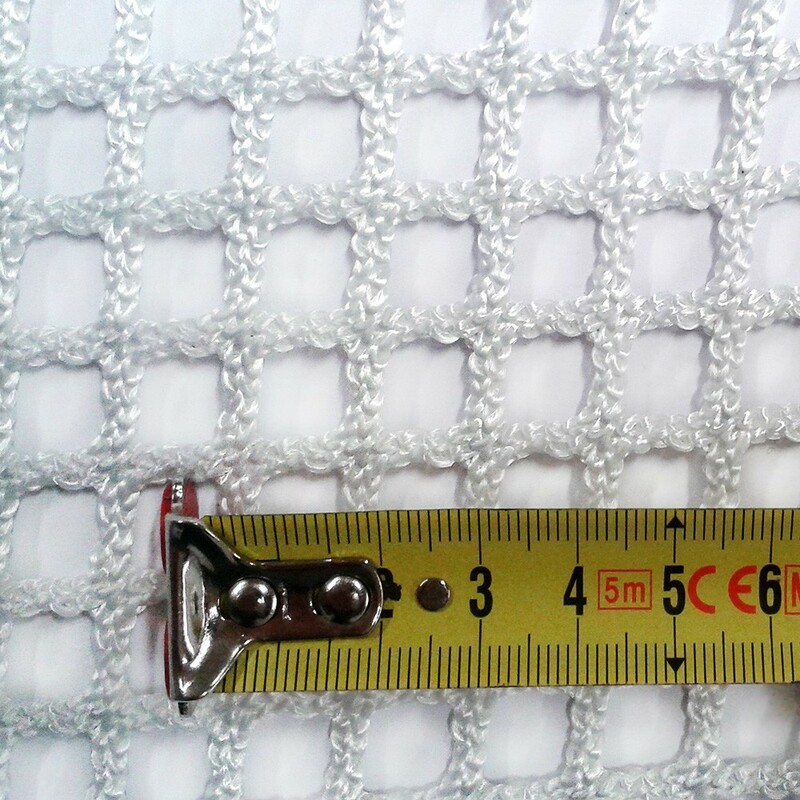 Create an airy floor net to fill a void both indoors and outdoors with this 13-mm braided net. This net is mainly used in a horizontal position. 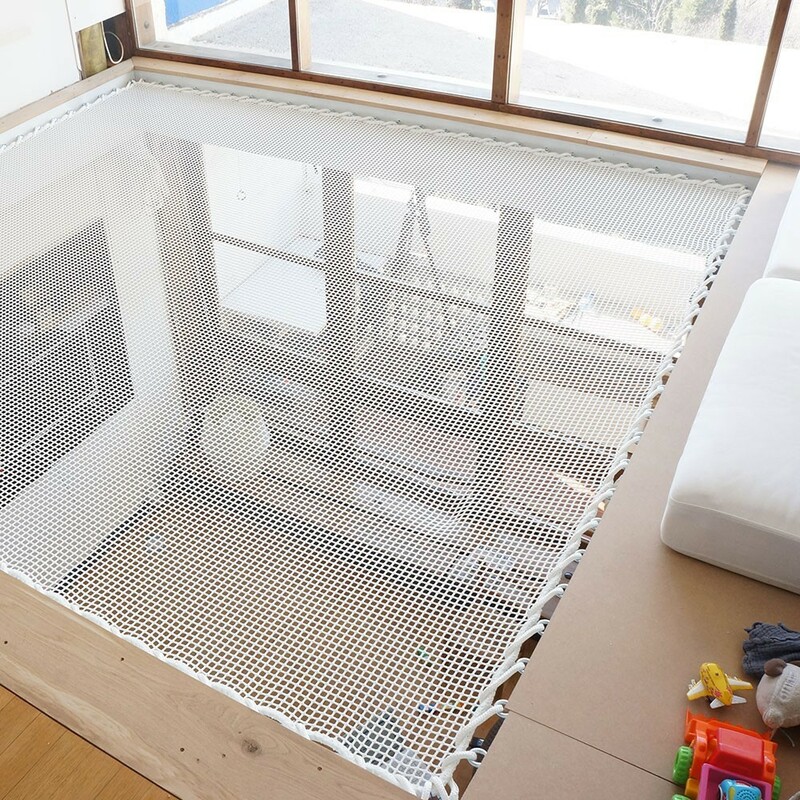 This home net is custom-made, according to the measurements of the void you wish to fill. 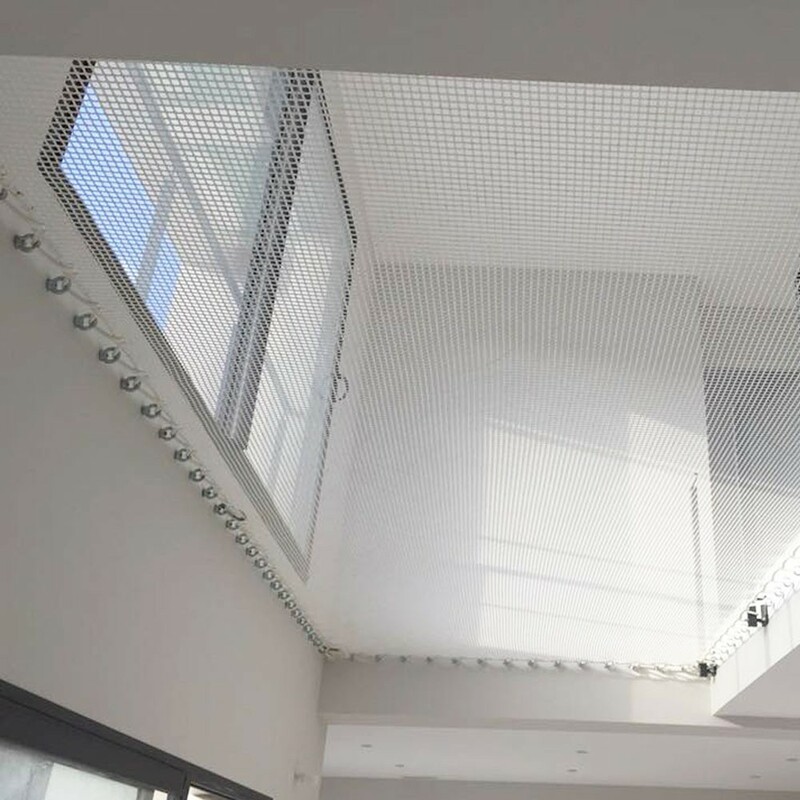 - This type of net is ideal to be used in a horizontal position as a floor net. Braided nets are much more comfortable than knotted nets. This net is made of polyester and has a higher slack ratio than the 30-mm braided net. 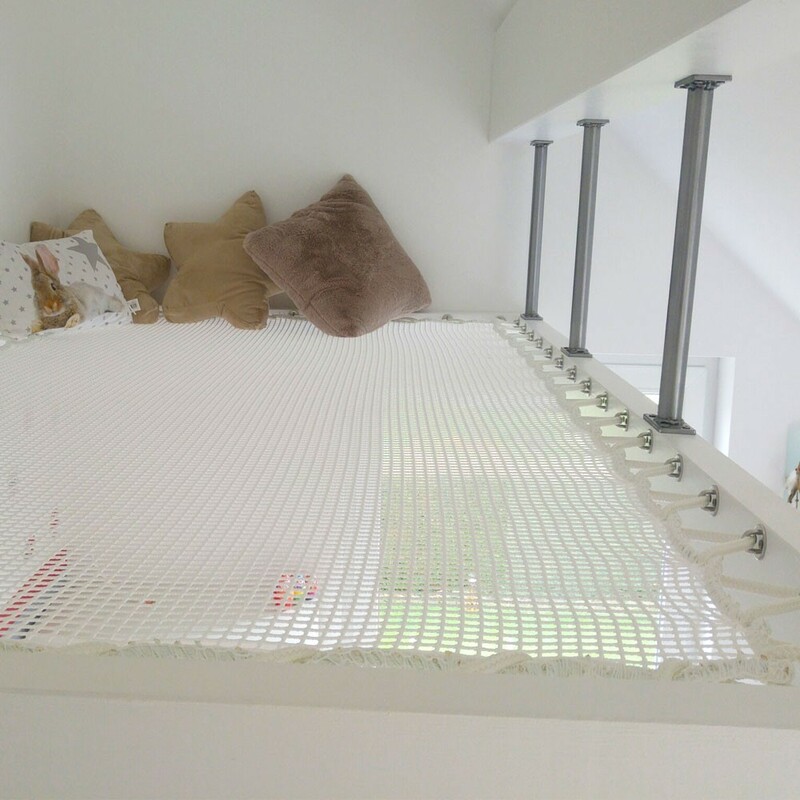 - This tightly-braided net helps to keep small objects from falling through the mesh, and will reassure parents of very small children (under the age of two) since the risks of having their feet or hands slip through the mesh are greatly reduced. 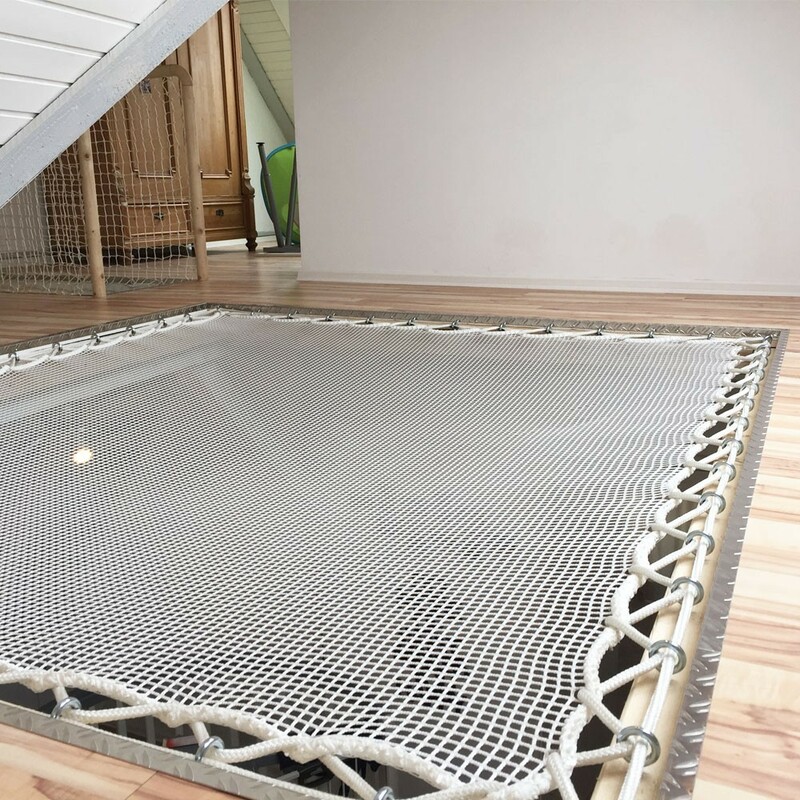 - Resistance of up to 210 kg/m²: the home net can easily support the weight of an entire family, with a maximal weight limit of 400 kg for nets larger than 4 m². - 10-mm overlock-stitched bolt rope: for a meticulous finishing. This elegant bolt rope is also used to reinforce the edges of catamaran nets. - Treated against UV rays and rotting, our polyester home nets are designed to for use both indoors and outdoors, including in marine environments. Parfaitement dimensionné, très confortable pour mon gamin qui s'y met pour bouquiner. Je n'ai pas tendu définitivement le filet. Je vais essayer de retendre encore le cordage de tension. J'ai trouvé le filet un peu souple par rapport à ce que je pensais.